When Ernest Hemingway came to Pamplona for his very first time in 1923, he wrote many articles for the Toronto Star trying to explain what goes on in here during this time. 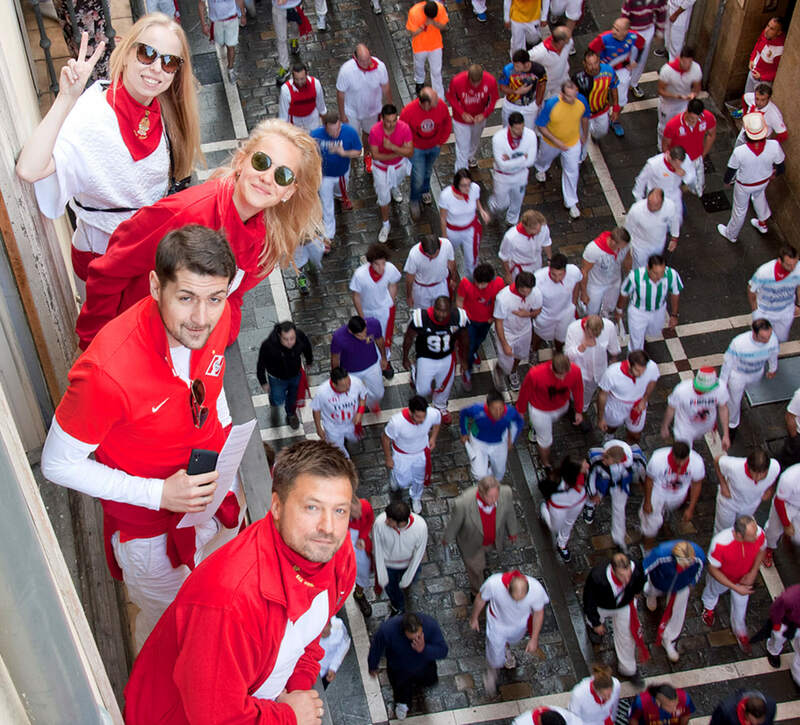 In one of his articles he said: “If you try to understand San Fermin, you have to watch people having fun, but it is as important letting people watch you having fun”. I think he is right, one of my favorite things to do is to sit at a terrace in Plaza del Castillo and just let families go by, the grandkids trying to convince their grandparents to buy them a useless unicorn balloon. I love watching the 18 year old kids enjoying their first San Fermin and maybe their first drink without their parents, pretending to look cool about it. Personally I love watching the tourists excited and a little bit overwhelmed with the party, the noise, the dirt…. Call me stupid but I also love watching all the people working in town: police officers, cleaning crews, waiters, tour guides …. It is so difficult to work when you are surrounded by this craziness.